﻿ Hotel in South Holland IL, Hotel in South Holland Ilinois. 100% newly renovated. Centrally located in South Holland, Illinois. Welcome to Econolodge, a great hotel in South Holland, Illinois where you’ll find comfort, excellent rates and complete satisfaction. Plus, we’re a smart choice of hotels near Tinley Park Convention Center and so much more. You’ll find our property off I-294 and I-80 and just 15 miles from downtown Chicago – where attractions like Navy Pier, Millennium Park and Soldier Field await you. This pet-friendly hotel is also close to Washington Square Pancake House, River Oaks Mall, Hollywood Amphitheater, Horseshoe Casino and Odyssey Fun World. 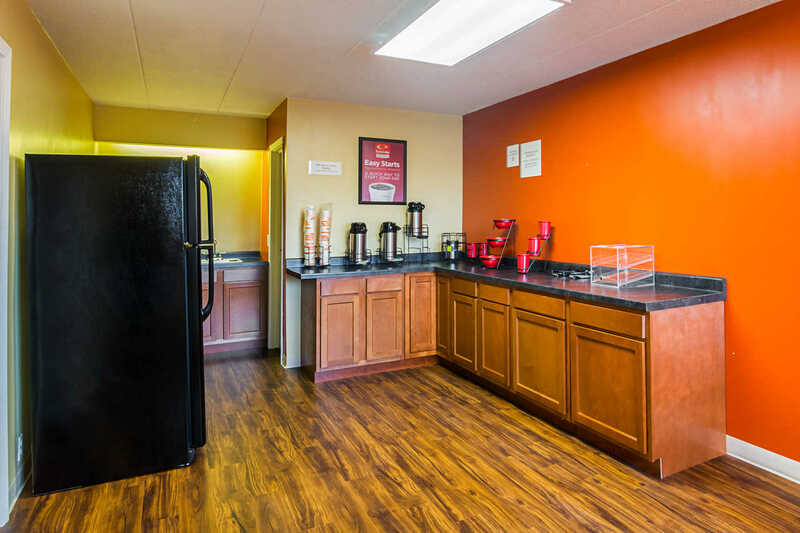 Amenities sure to enhance the stay of any kind of traveler include a free continental breakfast, free wifi and free parking as well as guest laundry facilities. In-room amenities include a desk and table, a recharging port and a 32-inch flat-panel television. Why not book now and experience everything there is to see and do in the South Holland area while staying in affordable comfort at Econolodge? We’re here for you when you need us. Just be sure to book as soon as possible for the best room rates and selection. Business is critically important to our area, and at this sensible choice of South Holland IL hotels we value our business guests. 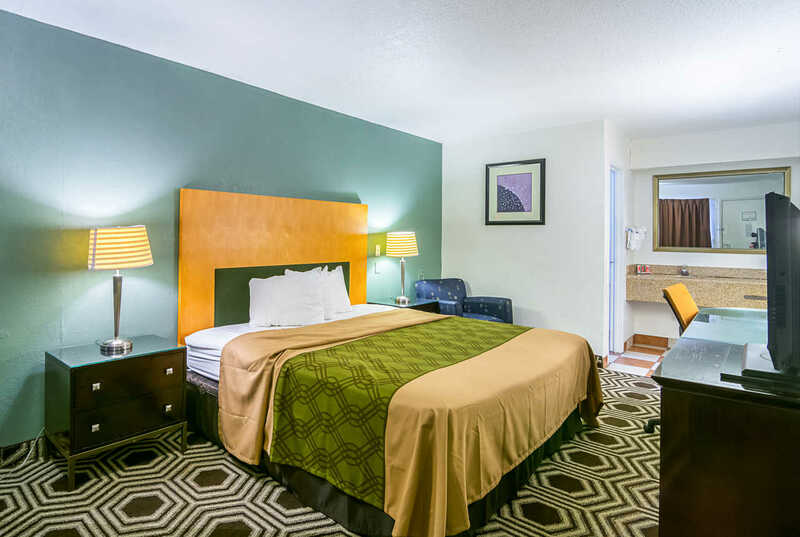 As your best choice of hotels near Tinley Park Convention Center and hotels near River Oaks Mall, you can depend on us for an excellent experience that will make it a true joy to return again and again. Ours is a simple and affordable hotel that's also right where you want to be to enjoy the many other attractions and points of interest in the area if you have some downtime. Why not book a room now? We specialize in making business travelers happy and comfortable no matter how long you’re with us. Looking for family-friendly hotels in South Holland IL? Seeking hotels near Hollywood Amphitheater? 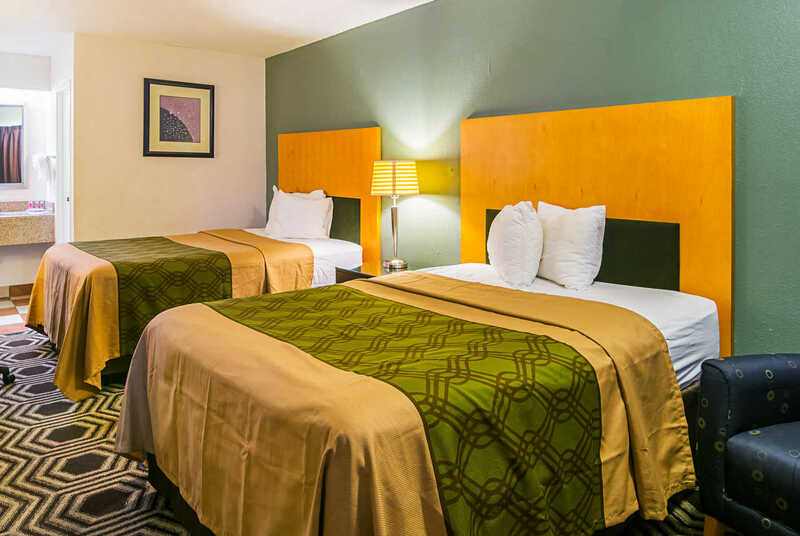 Whatever your reason for coming to our exciting, dynamic and interesting part of Illinois with your family, we're here for you at our well-located Econolodge. Choose us when looking for hotels near Horseshoe Casino and hotels near Odyssey Fun World as well. Our property is close to so many of the things you'll want to see and do in this area. Why not book now? We'll hold a room for you that's sure to be just what you want and need. And you can be sure that you and your family will be safe and happy here. Considering options for hotels near Millennium Park or hotels near Soldier Field that comes at a budget-friendly price? With prices of everything as they are these days, you need to save any way to can. Expand your search to include our Econolodge here in South Holland, Illinois and near Chicago. We offer you an affordable hotel stay as well as the comfort and convenience you deserve, and we're here for you. In fact, we're here no matter why you're visiting the area. We believe that you won't find any other hotel in the surrounding area that better meets your needs while being as easy on your budget. Hotels in South Holland, Illinois and the Chicago area aren't all the same. But you already know that if you've stayed in the area before. The fact that you're looking for something better means you may have had a bad experience before. As the best hotel near Navy Pier and so much more, we want to serve you. Why not book a room with us and see how you can have a comfortable stay at a price that fits within any budget and still access easily the very best of what this area has to offer? And we at this Comfort Inn will provide a great experience you're sure to enjoy repeating again and again. Thorn Creek Greenway is absolutely beautiful, and you deserve to explore it. We’re here for you when you do. San Ridge Nature Center offers family fun and so much more, so why not explore it while staying at our South Holland, Illinois hotel? Visit Thornwood Park and see the best of our area come to life – all close indeed to our Econolodge. Chicago is a quick drive away when you stay in affordable comfort with us, making our Econolodge a smart Chicago IL hotel alternative. Pets Allowed: $10.00 USD per night. 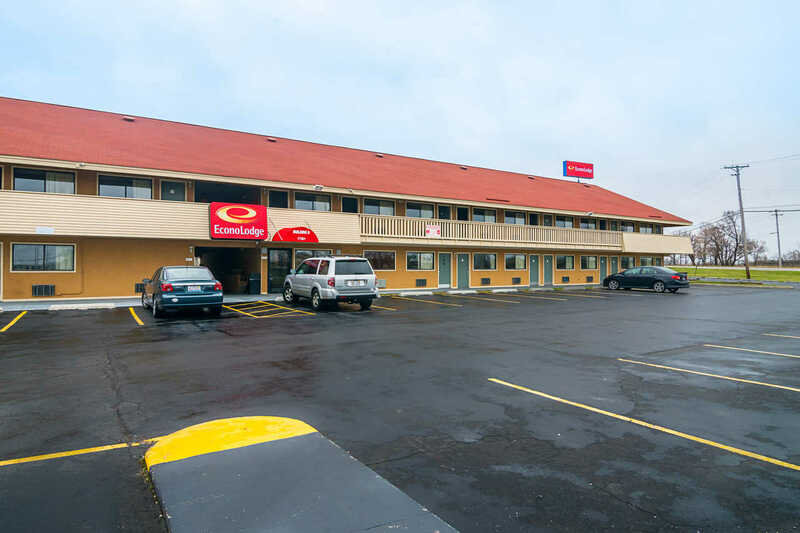 This website is owned and maintained by ECONO LODGE in South Holland, Illinois, a licensed user of certain proprietary trademarks and service marks of Choice Hotels International, Inc.